There's something fearless and mostly wonderful about a "frat rapper" making a jazz album. Enough about me, let’s talk about You. Charming, right? Mac Miller’s jazzy, lounging alter ego Larry Lovestein certainly was back in 2012, with the release of his cigar-puffing, dark liquor-basking, cool jazz EP You. 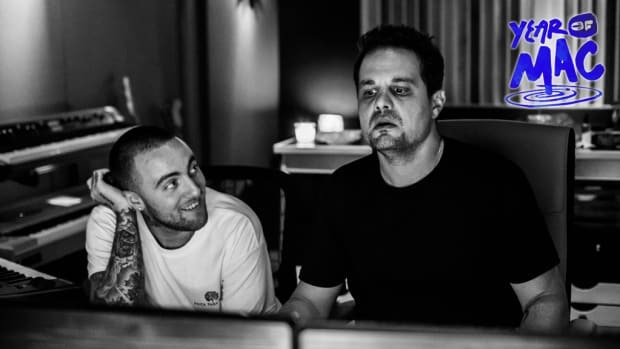 Slotted between the touchstone of his creative renaissance, Macadelic, and his first commercial pursuit of forms, Watching Movies with the Sound Off, You is one of Miller’s most intentional and focused projects—it’s also one of his most lighthearted. Narrowing in on the jazz medium, Miller was moving with purpose and the result was one of the first in a long succession of records he sounded thrilled to be creating. From the cover alone, we can tell that the element of jazzman role-play was inspiring for Mac Miller. The impression of an LP with the record sleeve wilting at the edges is a nice touch to imply timelessness. The typeface, the posed woman on the cover, the cheeky placement of the EP’s title—it all spoke to listeners in the language of interest. 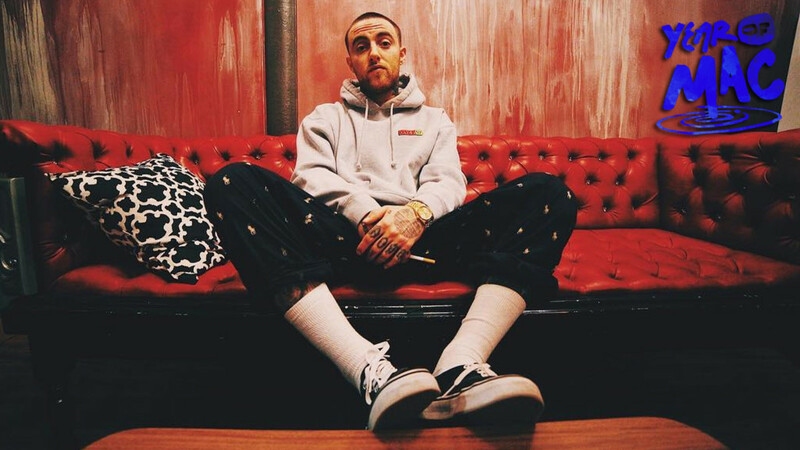 That is, Mac Miller is interested in jazz, and perhaps his fans would be interested to know that. In 2012, the multiplicity of his artistry was more endearing than it was groundbreaking, but only by a small margin. I’m sure everyone is tired of hearing me discuss jazz, but let’s not sell ourselves short here. You is a stunning creative flex both isolated and in the context of Mac’s discography. Yes, You is a healthy dose of method acting, but let’s not forget Mac Miller made this project at 20. Twenty years old, and he produced and arranged You on his own for the sake of the art. One pass through the dynamic “A Moment 4 Jazz,” and any questions over Mac’s artistic merit all but evaporate. 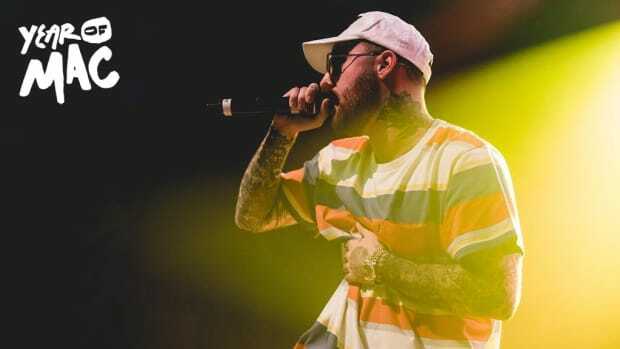 With You, Miller was already running circles around the slew of editorial that would shape his career narrative to the singular: “Mac Miller is good this time, really!” As he did with Macadelic, Miller released You as a statement of his ingenuity and prowess. He was not a “this time” artist by any stretch, but an “every time” artist since the start of the year. 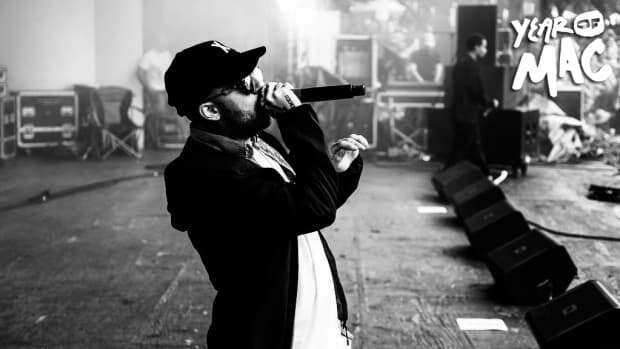 When Mac Miller saunters into a world of his own making, it sounds fantastic. In 2011, Miller “went to Guitar Center and spent like $15,000 on random instruments” to create Blue Slide Park standout “Under the Weather.” You sounds thousands, if not millions of dollars richer. The patter of the percussion, a light dusting of hi-hats and cymbals, and a generous smattering of tenor horns give the project ornate body. Miller’s singing moves from sweet and tempting on “Love Affair” to breathless and wounded on “Suspicions.” The latter of which is splendid if only because we hear Miller forcibly stopping himself from rapping, leading to an offbeat, pseudo-breakup anthem. 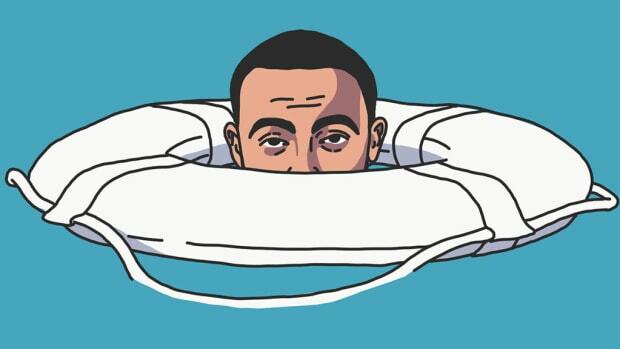 From there, we have Mac Miller’s playful and impressively gravely tones to enliven the title track. The strain on his voice as he sings “Girl, you love me so pure” sounds like the first coming of Anderson .Paak, spiked with helium and cheek. 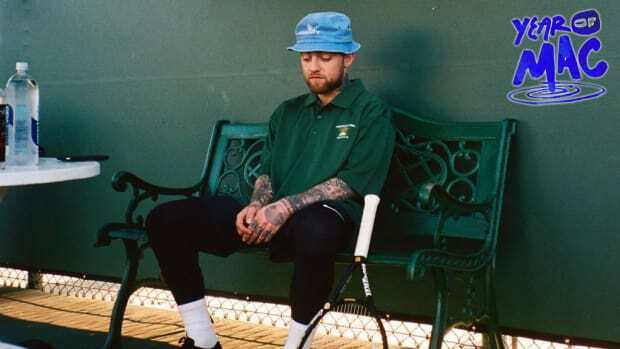 Mac’s old soul tendencies color the writing just so (“I bet you, you look pretty good in a wedding gown / You probably look better with nothing at all”) and strike at the core of love (“Soon as you woke up in my arms I was yours”) in a way someone like a Daniel Caesar is still a drop away from mastering. You may well have been a predictive text—not just for Mac&apos;s career, but for the shape of hip-hop jazz fusions to come. Recall Ravyn Lenae’s Crush EP, executively produced by The Internet’s Steve Lacy. Any snippet from You could have slotted into Crush, six years of aging be damned, and played like a superb feature from a beloved collaborator. Had the stars aligned all those years ago, surely Lacy would have had in this EP just as he did Lenae’s. Imagine Syd’s vocals, culled from the spirits of R&B lovers passed, over the musing “A Moment 4 Jazz”? She would snake between baritone brass sections and bass notes as if it were second nature. If only. Best of all, where jazz can be a self-serious and self-important genre, Mac made sure to not take himself too seriously. At times, his delivery teeters on parody (“Life Can Wait”), yet he sounds boyish and bashful. Miller teases jazz the way lovers tease each other at the end of a needless argument. 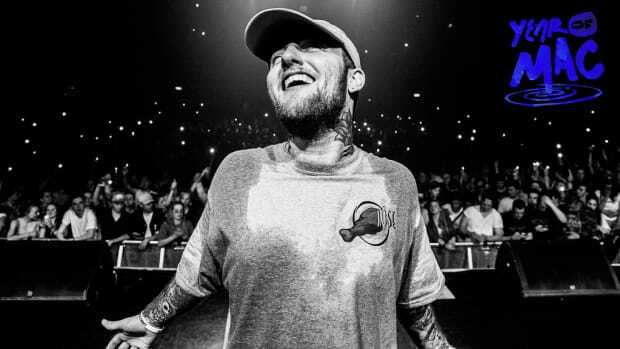 The vocal pitching, meant to affect Mac Miller as an aged and sultry player, is as joke-ish as it is effective at setting the mood. One glance at the credits available on the project’s website, back when we still did such things, and we come away with player names like “Ralph Bubbletea” and "spiritual guide Petey ‘DSL’ Crumpett,” because who could forget the rest of the Velvet Revival? I’d take “George ‘Night Owl’ Bamboo” out for a drink, personally. Our leading man, Larry Lovestein, even had his own playful Twitter account. Is this uncouth for jazz? Maybe; who cares? 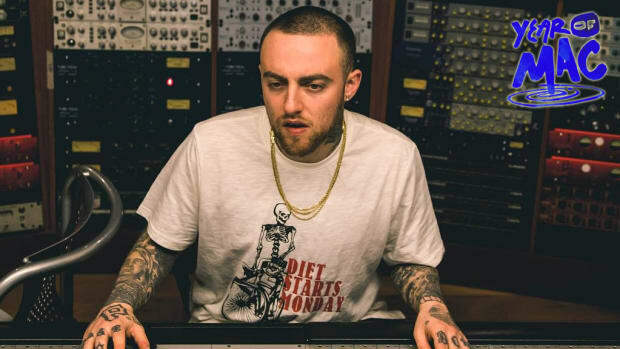 Mac Miller goes down as a musician’s musician not simply because he was a rare talent, but also because he knew how to take a breath and laugh at himself. In 2012, Mac Miller was trying to be a boundary-shattering artist and his efforts were more or less effective. You is not the best jazz album ever made—it’s not even the best jazz album Mac Miller ever made—but it is a precious moment in Miller’s discography and creative arc. Something about a young man forced into the “frat rap” category making jazz seems slightly fearless, slightly silly, and mostly wonderful.